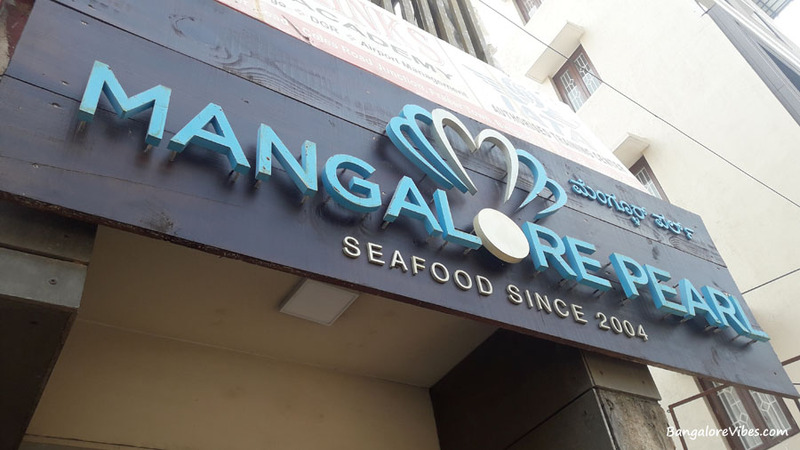 The Mangalore Pearl in Wheeler Road is more than a decade old restaurant that was in my list of Must Visit restaurants for several years now. It was only two weeks ago that I got a chance to get into the Mangalore style restaurant that turned out to be a first class experience for me. After parking my car two blocks away, I had to walk towards the Mangalore Pearl in Wheeler road. The restaurant entrance faces the main road and it does look a kind of a small restaurant from outside but there is enough space to accommodate thirty or more guests. The ambience of the restaurant is pretty decent and welcoming. I loved the wall art everywhere within the restaurant. Even the staffs were humble and suggestive. My dining experience in this restaurant was good both the times I had been here. Anybody looking for an authentic Mangalore style food, I would suggest them this restaurant. I am sure they will love the food here as much as I did. The food here was awesome and not even a single dish we ordered disappointed us. 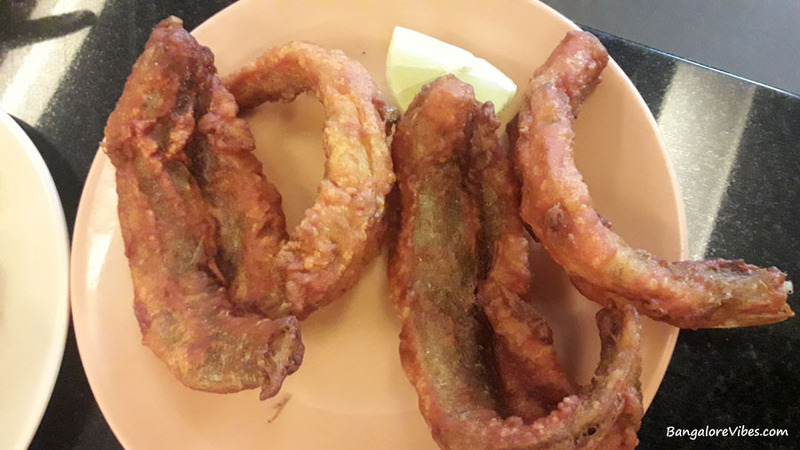 We ordered for Bombil Fry, Sardine Fry, Chicken Lollipop, Hamur Fry Gravy (Fish Curry), Bangda Teek Gravy (Fish Curry), two servings of Rice and a plate of Neer Dosa. Our total order value was Rs. 1056 including GST. Our orders were sufficient for four people. I ate the Bombil fry for the first time and it was a good start here. This crispy starter was an ultimate experience that I will never forget. The oil fried chicken lollipop proved that the restaurant popular for sea foods also dishes out some good chicken stuffs. 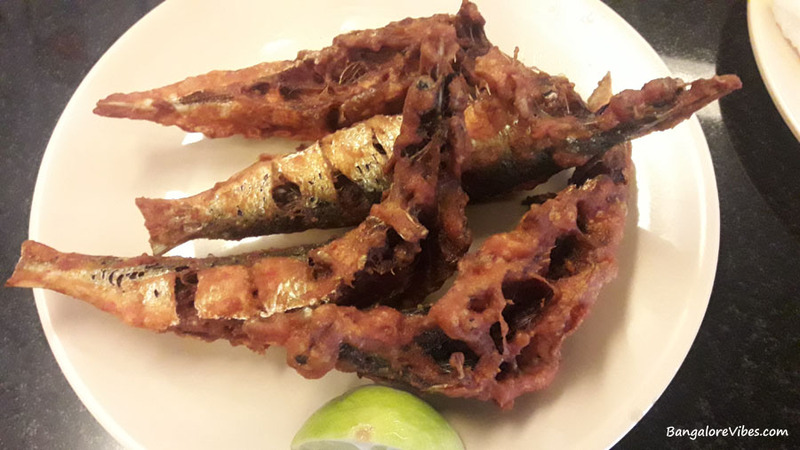 The sardine fry could have been better, may be a little extra salt would have made it equally good. The Neer Dosa and fish curry combination was a bliss. I would have finished my lunch only with Neer Dosa’s and fish curry had I not ordered for the white rice. 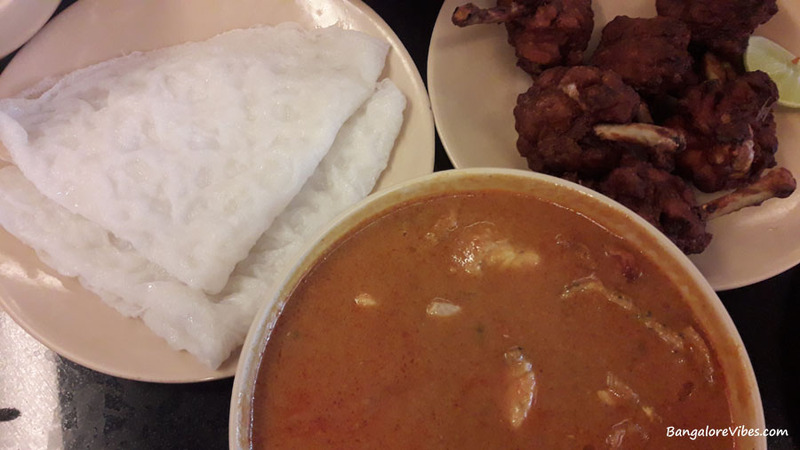 We ordered for two types of fish curries – Hamur Fry Gravy and Bangda Teek Gravy. Both the gravies were good and they were different. In some restaurants, all the fish curries tastes the same no matter what fish you order. Anybody who is a fan of fish curry rice will surely appreciate the Hamur and Bangda fish curry rice combination. I liked the Hamur gravy a lot. In fact, I did go to this restaurant for the second time to relish this combination. The Mangalore Pearl is in Bangalore East, in Wheeler road, next to K C Das. We really enjoyed our meal at Mangalore Pearl. Have you tried the crab there? Not the crab but lots of fish there. Will check out the crabs next time..